Now, if you’re done with all your Christmas shopping and are just looking to buy some new comics because it makes you happy inside then today’s Pull List is for you too! Hell, this Pull List, much like every Pull List, is for everyone who wants a little bit of that comic book flavor in their life. I got you allllll covered. This is a great week for comics and there are a bunch of solid reads that you need to be pulling off the shelves and into your home! Which means it’s time to cut the chit-chat and time to get down to the task at hand. One-Two-Three COMICS! 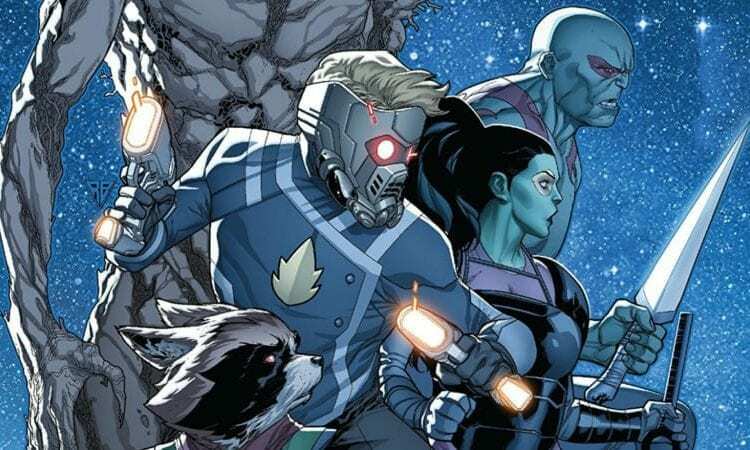 Infinity Wars #6– Yes, this event is still going on but issue six marks the end of a series that started off super hot, but lost a little bit of steam moving forward. I’m kind of torn here as I enjoyed Infinity Wars for the most part, but found this final issue to be a bit too… neat? I don’t know, it just didn’t deliver the emotional gut punch I was expecting. We learned a lot about the Infinity Stones, and where they come from, and it seems that there are some rather big things on the horizon for Loki, outside of that though… a bit underwhelming. 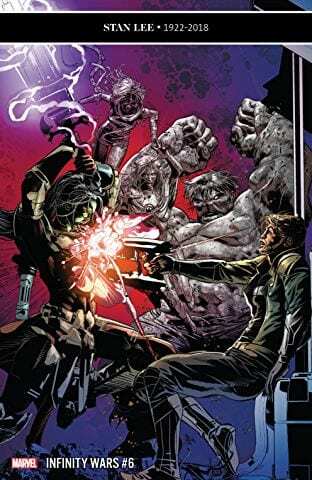 Mike Deodato’s art remains my favorite aspect of the book but it seems that Gerry Duggan had to condense a bigger concept into a small mini-series. If you’ve been reading the event this far then you owe it to yourselves to finish things out. 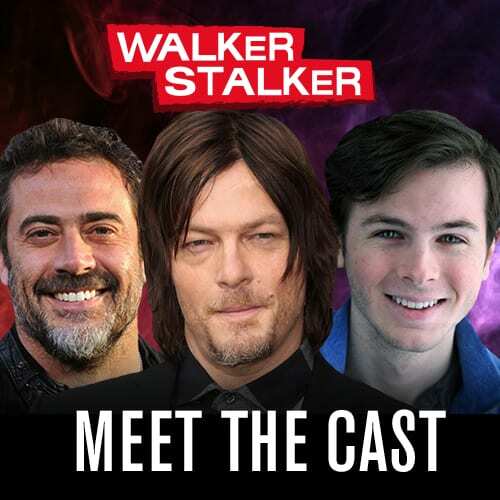 And who knows, maybe I’m missing something here. My Twitter’s always open for discussion. Batman #61– I said this on Twitter after I finished issue #61, and I’ll say it again here… Tom King writes comic books on a different level. Issue #61 starts a new arc called “Knightmares” which will be a series of one-shots set to further break the Bat. 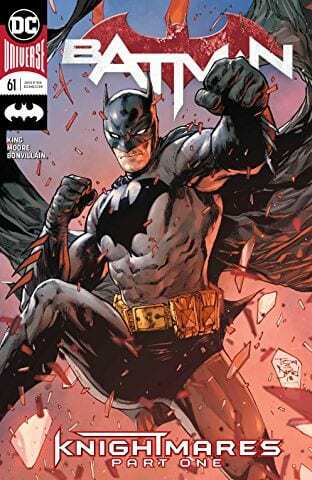 At first glance, this issue is a bit confusing and seemingly re-writes the history of a young Bruce Wayne and his murdered parents. As the issue unfolds, and a handy editorial note referencing issue #38, things start to come together and man… things are bonkers. I re-read issue #38 immediately after and then read #61 again and the brilliance of King just shines through. 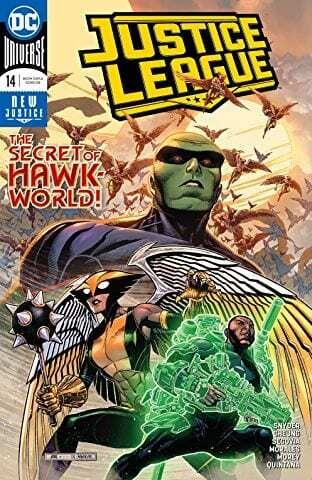 A unique issue that ties back to a story that seemed like a one-shot that further proves that nothing happening in this run is by accident. King has a plan and we’re all witness. 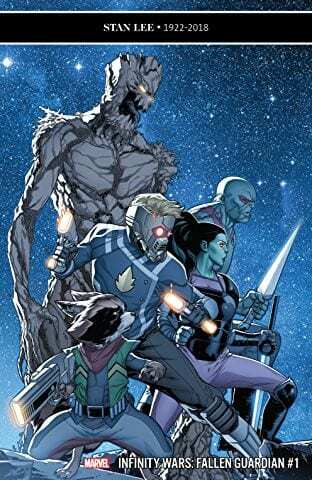 Infinity Wars: Fallen Guardian #1- Next month Donny Cates will be taking over the Guardians of the Galaxy title and he’ll be reshaping the team dynamic, but before he can do that Gerry Duggan has a couple of more things to say concerning the Guardians starting here with Fallen Guardian #1. Infinity Wars didn’t end without any casualties, do big events ever, and we lost ourselves a Guardian. 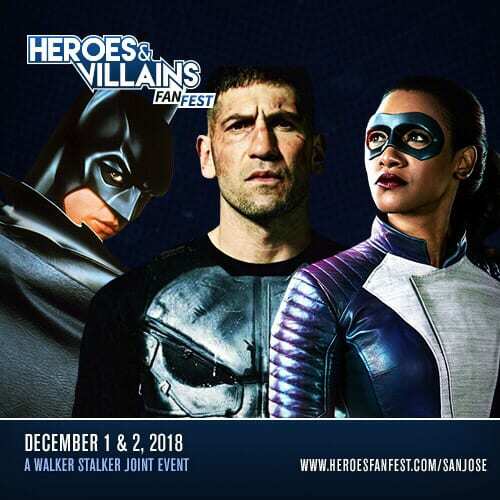 Duggan will deal with that fallout before the new series starts, and hopefully, add a little more impact to the event. 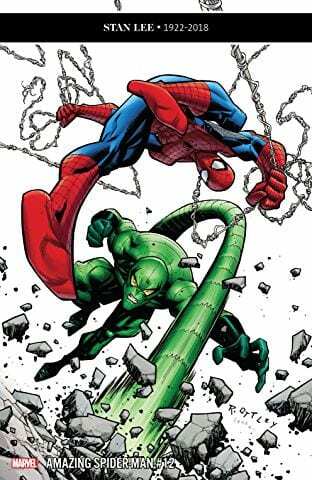 Having read Infinity Wars #6 I know who we lost but it was missing the emotional impact I would have expected. 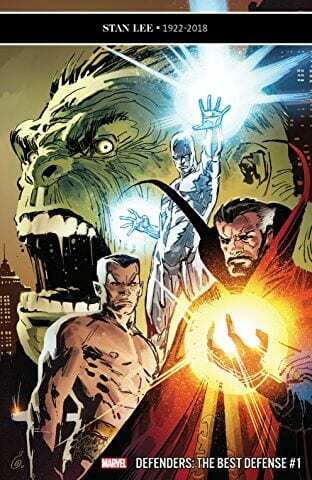 Perhaps with this one-shot Duggan can tap a little more deeply into what this means to the individual Guardians and open the door to their next chapter. I have enjoyed Duggan’s run and think he’s earned this farewell not only to the fallen character but the rest of the gang. 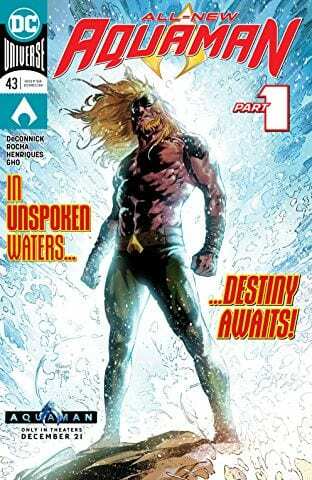 Aquaman #43- You might not have heard but DC has a new movie coming out this weekend. An epic sea adventure called… Aquaman. Marvel did this last week when they dropped Miles Morales: Spider-Man in sync with the release of Into the Spider-Verse and it’s a great marketing move. 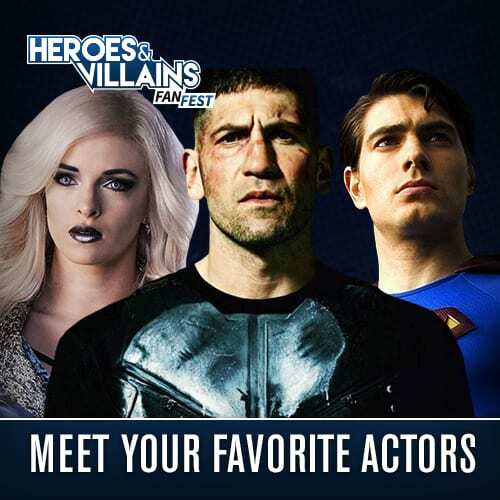 When people leave the theater they’re going to want more of the title character and where are they going to turn? Their Local Comic Book Shop that’s where. Releasing a book the same week as the movie seems like a no-brainer, and after the events of Drowned Earth, Aquaman’s whole world has been turned upside down. 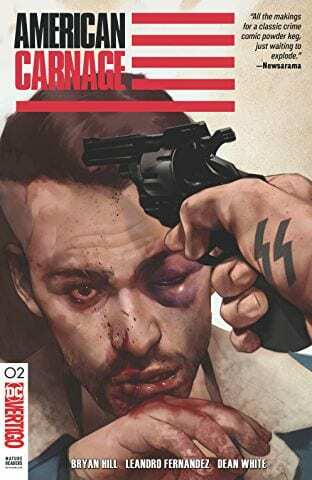 Issue #43 will take the character in a new direction, and while it may not be the best starting point, who am I to tell new readers not to read a comic?! If they’re hooked they’re gonna need those back issues something fierce, and hopefully issue #43 plays as a gateway comic. 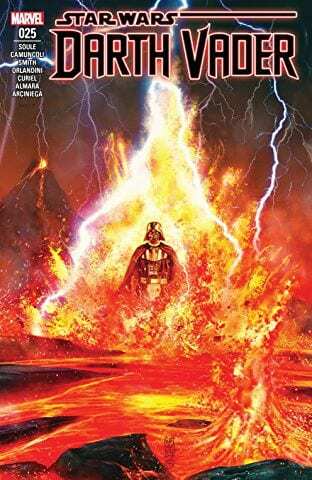 Darth Vader #25– Today in favorite covers. Man, this thing is gorgeous! Not only that but issue #25 is the final issue of Charles Soule’s run and thus bringing an end to the “Fortress Vader” story arc with it. One of my favorite things about Marvel’s Star Wars comics is how they have taken the time to re-establish the fact that Darth Vader is the biggest badass in the galaxy and his solo comic runs have been incredibly enjoyable. While I’ll miss Soule’s run I’m excited to see what Marvel has in store for Vader next! There you have it Geeklings, all the best books to get your mitts on this week. As always, if you feel like I’ve left anything off this week sound off in the comments. 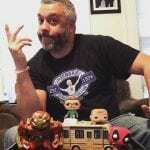 If you’d like to talk more comics with yours truly then you can drop me a line on Twitter @iamgeek32. Since this will be the last time I speak to you guys until Christmas, I hope your holiday is filled with friends, family, laughter, joy, and comics! See you all next week, happy reading and many huzzahs!